Every Sunday, churches in North America gather for worship. We sing. We pray. We give. We listen to a message. With rare exception, we do this without thinking someone would do harm to us. Yet, around the world, it’s estimated that nearly 322 Christians die each month simply because they believe in Jesus. That’s nearly 11 every day. That means next Sunday, when you go home from church, it’s likely that someone in the world went to church and did not make it home. What does that mean for the church in the United States? How can we help those around the world? How can we handle ourselves when we are persecuted and challenged in our own faith. 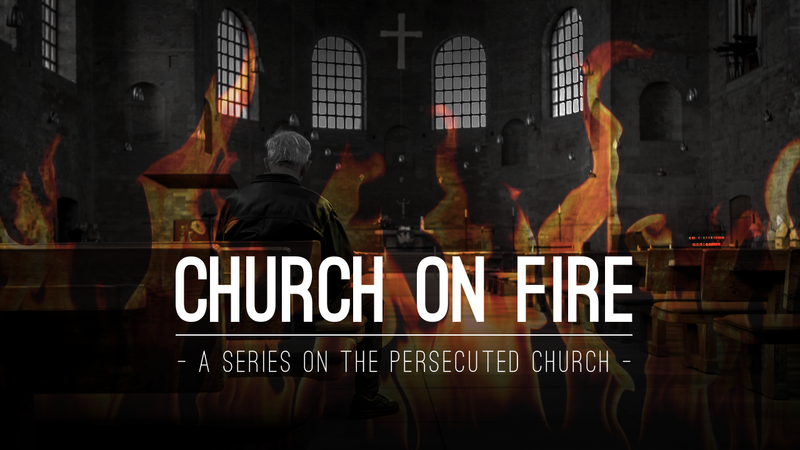 In this series, we’ll look at how the church can have a passion, excitement and strength in the face of strife. We’ll learn to be a Church On Fire.